These accent doors allow light and air to flow through (or at least give the illusion of it). 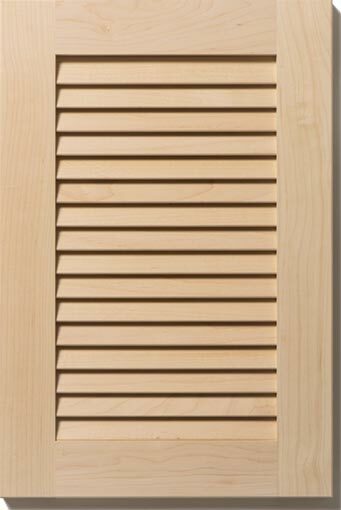 Louver doors are similar in style to old-fashioned shutters and feature cope and stick construction. Open Louver doors are made with each louver individually secured using routed slots in the stiles. 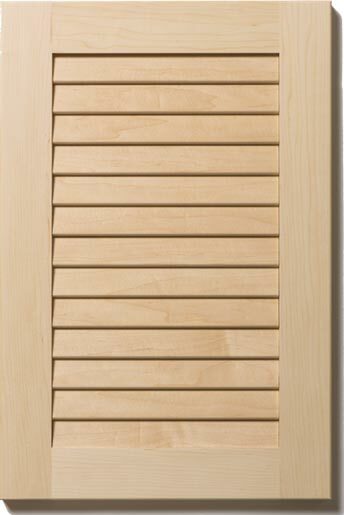 Doors wider than 18 inches require a center stile routed to fit the louver backs (optional on smaller doors).